Did your primary care doctor refer you to a neurologist? Similar to other normal people, you may not know who a neurologist is, what diseases they treat and where to find them. And if your case is an emergency, you may not have a choice but to locate a reliable neurologist quickly. To avoid confusion and save time, read on to learn more about this health specialist. Who is a neurologist doctor and what diseases do they treat? How can you tell that you need to see a neurologist? -Serious and frequent headaches, such as migraines. -Chronic neck or back pain that is accompanied by other neurological symptoms: tingling, loss of bladder and/or bowel control or weakness. – Vertigo and disequilibrium. Vertigo occurs when your dizziness feels like the world around you spinning uncontrollably. As for disequilibrium, it occurs when you lose your balance. – Tingling and numbness – If these symptoms develop so soon, affect only one side of your body, and are accompanied by weakness, they may indicate stroke. Additionally, tingling and numbness that worsens or persists could be caused by peripheral nerve disease. – Weakness – This occurs when you just can’t do a physical activity you normally do easily, such as lifting. Weakness could indicate a neuromuscular disease or stroke if hits so fast or affects either your right or left side. -Involuntary movements – If you are experiencing tremors, involuntary movements, clumsiness or walking difficulties, it may be time to see a neurologist. -Abrupt vision loss – This can be triggered by a problem in your CNS or eye. – Epileptic seizures – There are different kinds of seizures and not all of them call for a neurologist’s intervention. If you suddenly start having frequent seizures, then the cause could be epilepsy and should be investigated. – Cognitive problems – Whether these include memory loss, confusion, hallucinations or difficulty thinking, only a neurologist would know for sure. – Sleep disturbance – Although there are other specialists who can investigate the cause of disturbed sleep, a neurologist should be consulted. How can you find a good neurologist near you? Qualified neurologists have the right education credentials. They should have a Doctor of Medicine degree, post-graduate training, and a 3-year neurological residency training that is approved by the ACGME (Accreditation Council for Graduate Medical Education). If they wish to advance their studies, neurologists may select a 1 to 2-year fellowship program in a given field of neurology. Besides education, board certification is a must if one wants to be a recognized doctor. To find out a given neurologist’s medical school training background, hospital training, board certifications, malpractice, disciplinary actions and more, check their history of state websites. If you or your loved one has been referred to a neurologist, you should look for referrals. The best referral will be the one given by your primary care doctor. Besides your primary healthcare provider’s recommendation, you can ask friends, co-workers and relatives refer you to a reliable neurologist. Once you have a list of a few doctors, call to make an appointment with each of them. Experience matters when you are facing a severe neurological disorder. 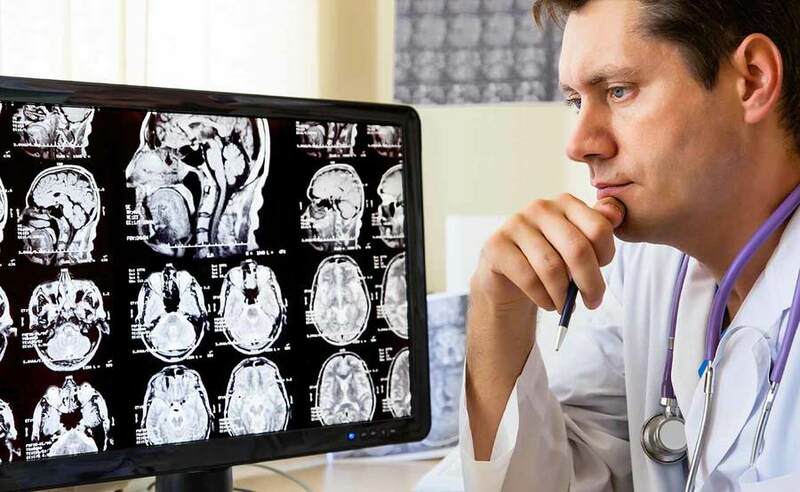 So, if you live in the City of Dallas, Texas, make sure you find the most experienced, reputable and reliable neurologist dallas can offer you. Moreover, when you visit each neurologist, ask them about the quantity of patients with a condition similar to yours they have cured in the past. As well as asking about the complications they may have faced when treating their previous patients, find out if your treatment procedure is likely to be complicated as well. As you will pay for your medical care, it is sensible to explore the place where you will receive treatment. By touring, you will find out if the hospital is well-equipped, clean and adequately staffed. If possible, talk to a few patients who are receiving treatment in the hospital and evaluate their views. It is also possible to locate the hospital’s and the doctor’s reviews online. Another point is to consider if the medical facility is near you. Will it be easy to access from your home or office? Once you begin the treatment process, you will be facing just your neurologist. So it is important to notice how they talk during the appointment stage. Do they seem bothered by your frequent questioning? Are their answers idiot-proof? If your doctor seems genuinely interested in knowing you more during your first encounter, chances are that they will be hospitable, caring and dependable. As long as you will follow the above-mentioned tips, you will end up meeting the right neurologist near you. In addition to these tips, ensure that the specialist you prefer participates in your health insurance cover. This is a prudent way of lowering your medical bills while receiving unparalleled treatment and care.